China Fruit Logistica has been postponed to 2020 to allow more time for it to position the event as the leading commercially-organised trade fair for China’s fast-growing fresh fruit and vegetable market. 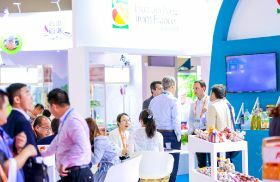 “We think it is crucially important to develop an event in China that matches the standards of quality and business success that you should expect from us and from any other trade fair in China,” said Wilfried Wollbold, general manager of Global Produce Events Shanghai, the organiser of China Fruit Logistica. China Fruit Logistica launched in Shanghai in May 2018 with almost 100 exhibitors from China and the rest of the world and was attended by more than 2,000 top-quality trade visitors from over 35 countries. The 2019 edition was scheduled to take place on 29-31 May at Shanghai World Expo Convention and Exhibition Centre. “We greatly regret the inconvenience this year’s postponement causes every exhibitor and visitor who has already registered,” said Wollbold. “We are enormously grateful to all those companies who had already signed up for China Fruit Logistica, many of whom already exhibited at our first edition in 2018. China Fruit Logistica is the newest trade fair for the fresh fruit and vegetable business in China. Its parent show, Fruit Logistica, has been active in China for almost 30 years, and now Chinese companies are one of cornerstones of the trade fair in Berlin every February. And at the same time China contributes the largest number of exhibitors and visitors every September in Hong Kong at Asia Fruit Logistica, the premier trade fair for the fresh fruit and vegetable business in Asia.